Resources to help teachers incorporate the mathematical practice standards into everyday instruction. Want to set up a Training? 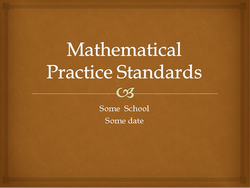 What do the Standards for Mathematical Practice look like for my grade level? Click here for a set of posters designed especially for the Kindergarten and 1st grade classroom. These posters are written in kid-friendly language. 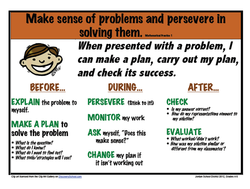 Click here for a set of posters designed specifically for the intermediate classroom. 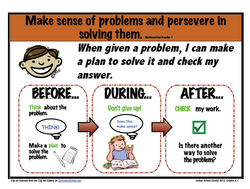 Click here for a set of posters designed specifically for the 2nd or 3rd grade classroom. Click here for a specific set of posters designed for 6th graders. These would be appropriate for all students grades 6-12.